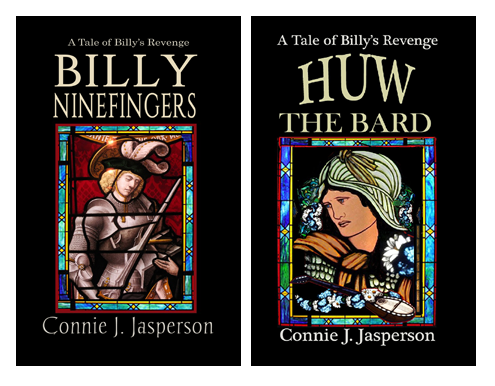 When I formatted Huw the Bard, I included three maps. 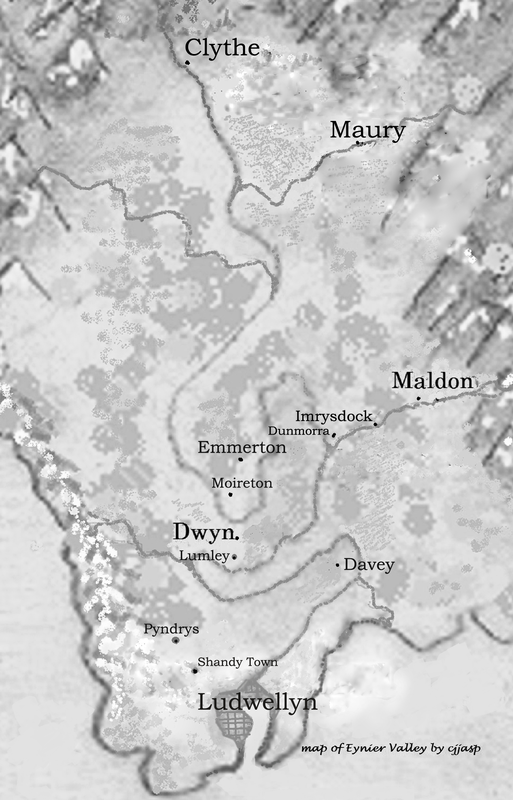 At the front I left the whole map of Waldeyn. 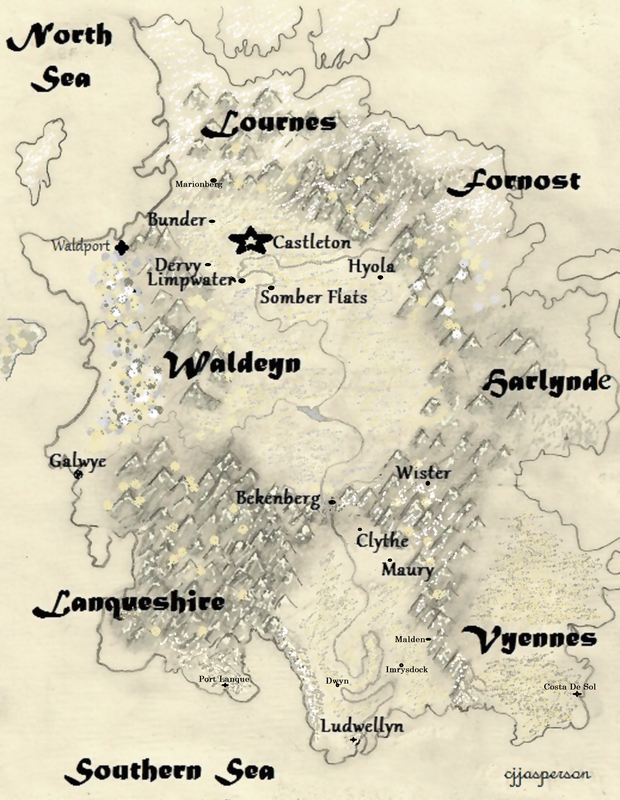 Then I split the the map, north and south, so curious readers could see how the two halves of Waldeyn differ from each other, and how that difference in terrain affected his journey. The second map is inserted where the second stage of Huw’s journey begins. I did it that way because I am a voracious reader, of anything by L.E. 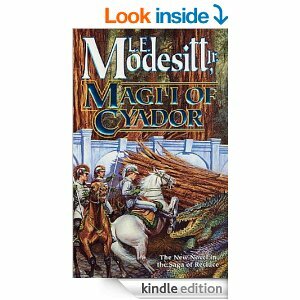 Modesitt Jr. but I am angry with his publisher, TOR Fantasy, for not updating the maps in his Recluce books. 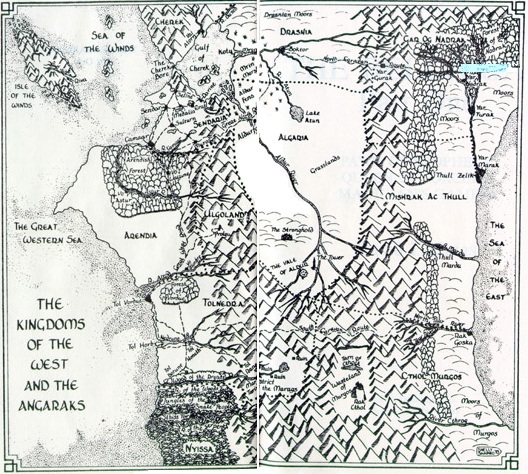 The maps in the front of that series of books detail the world AFTER The Chaos Balance, and bear absolutely NO resemblance to the towns in fully half of the books that are set before that time! 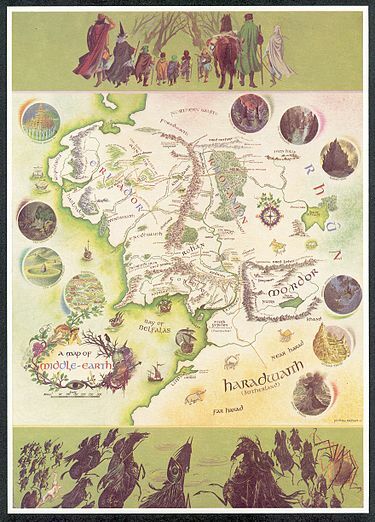 One of the best maps of of a fantasy realm that I’ve ever seen was the map of Middle Earth as done by Pauline Baynes in 1970. 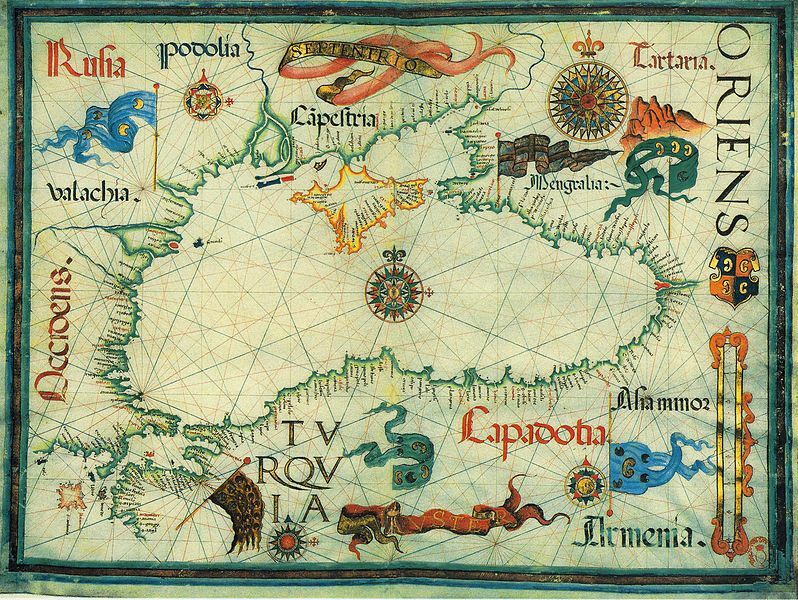 It is beautiful, a complete work of art on its own, as all maps once were in the golden age of discovery. 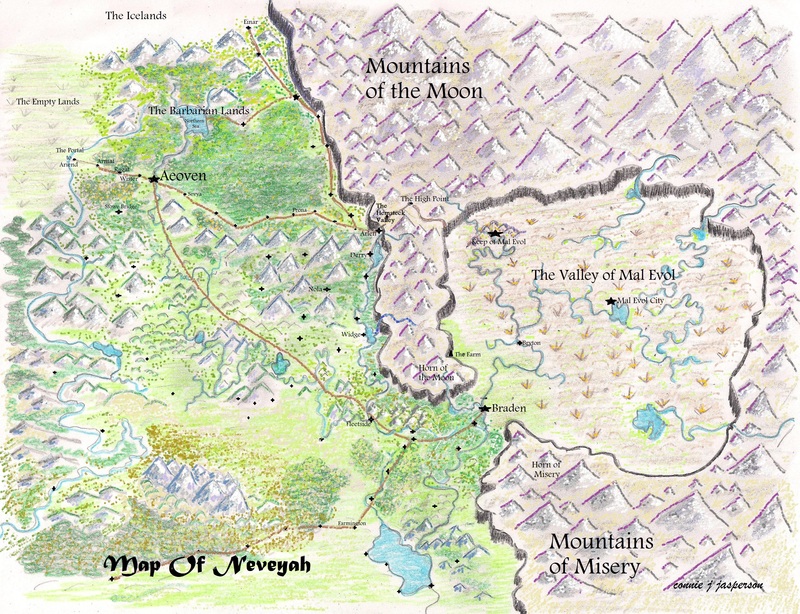 I won’t lay claim to being an artist on this level, nor will my maps ever achieve this kind of style and creativity, but I am working on new maps for the world of Neveyah, and the Tower of Bones series. The ones I have right now are all in color, and they don’t translate to black and white for print. So I am back to square one, but I will have the new maps for TOB complete by February 1st. The new cover is done, and the manuscript has been re-edited. Now we are down to the final stage of proof-reading, to ensure I have not made any strange new errors in the ms. I am not in a hurry for this, as rushing to publish is why that book has been pulled and re-edited. This is where being an indie is both dangerous and awesome–I bear the sole responsibility for the final product. I’ve been working full speed on fleshing out the fourth book set in the World of Neveyah. 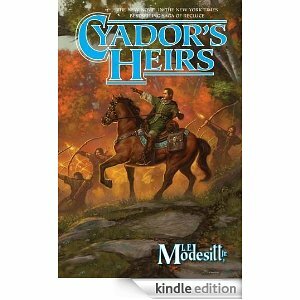 It is the third and final book in the Tower of Bones series. One of the things I’ve learned as I’ve progressed as a writer is to cut the backstory into manageable chunks. I, as the author, am totally into the backstory, but you as a reader may not be. In my previous work, my readers have to slog through a long lead-in before the real action begins. With each successive book, that lead-in has become shorter. In order to avoid this tendency, I have been working to an outline. Because I have the final half of the book nearly complete, all I am working on is the first half of the book. I have given myself a strict number of pages to accomplish all of this in, which means it is forced to be all action, with the backstory slipped in incidentally. 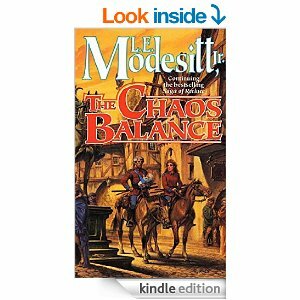 The first half of VOS happens concurrently with Forbidden Road, and some of the incidents from that tale are viewed through the eyes of those left at home. This book must detail what happened at home and wrap up Forbidden Road. I want it to be a stand-alone book, and it can’t give away the core of Forbidden Road. Thus, it can only reference what the characters know of the incidents that occurred in Mal Evol as they affect this tale. The premature delivery and death of the baby. This is the first half of the book and must be complete at the 50% mark. By giving myself this road map, I am not completely nailed down creatively, nor am I completely winging it. I am forcing myself to stick to the meat of the matter and be sparing with the fluff. I have set an arbitrary length for the book, and the second half was dealt with the same way. I actually wrote the second half first during NaNoWriMo 2012, because it picks up where Forbidden Road Leaves off and I was in the zone. Writing the character of John Farmer has been fun. I’ve written a kajillion anecdotal stories for him as a novice and a young journeyman that won’t make it into VOS, but which will possibly be used at a later date in a volume of short stories. By virtue of having these tales, I know who John is. I know what makes him tick, and, most importantly, why he is who he is. 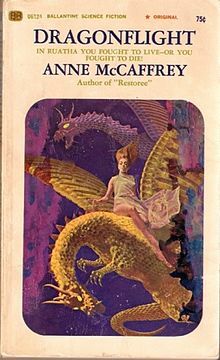 Both Agatha Christie and Anne McCaffrey were geniuses at conveying that sense of history with an economy of words. When I think of each character in the compelling books written by these women, the characters I loved and who stuck with me most had a sense of history. The author knew them, even the most minor of characters. HOW they knew their characters, what their style of writing was, I don’t know, but me — I make a little personnel file for each. 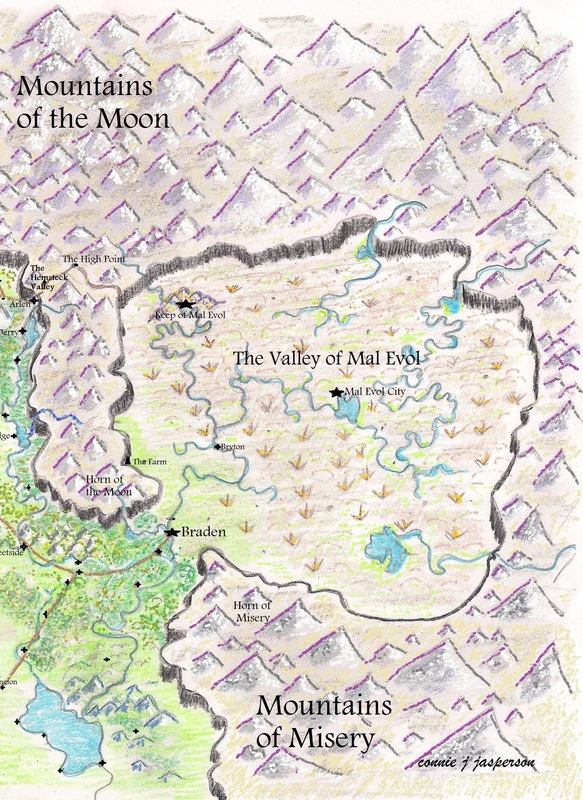 In this post I have just been talking about the fourth book, but I hope to publish the third book set in Neveyah, Mountains of the Moon, by summer. It’s hard to say if it will be through the editing process by then. I will never rush to publish anything ever again, knowing what I know now about this business. Some indies have this idea that they have to get it published NOW, regardless of whether an editor has told them it is not ready, and this is bad. Plot holes, threads to nowhere, these are bad, even if you are intending a second book in that series. Even worse is the nearly overwhelming urge to just add a bit to the tale before you click the publish button. Has anyone else seen what you wrote? 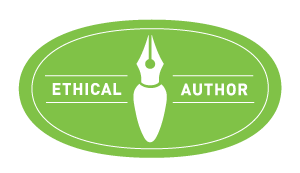 How do you know that what you think you wrote is what you really did write? And did you make your revisions by hand, or were you using Dragon? ALWAYS key your revisions by hand if you are physically able. As an editor, I have seen some interesting manuscripts written using Dragon Naturally Speaking Software. Words that are technically correct but make no sense until the editor realizes the words actually rhyme with the intended word…you see where this is going. Many’s the fool who rushed to publish and rued it later. I was one of those with my first book, but just like many other firsts, I learned a great deal from that experience. 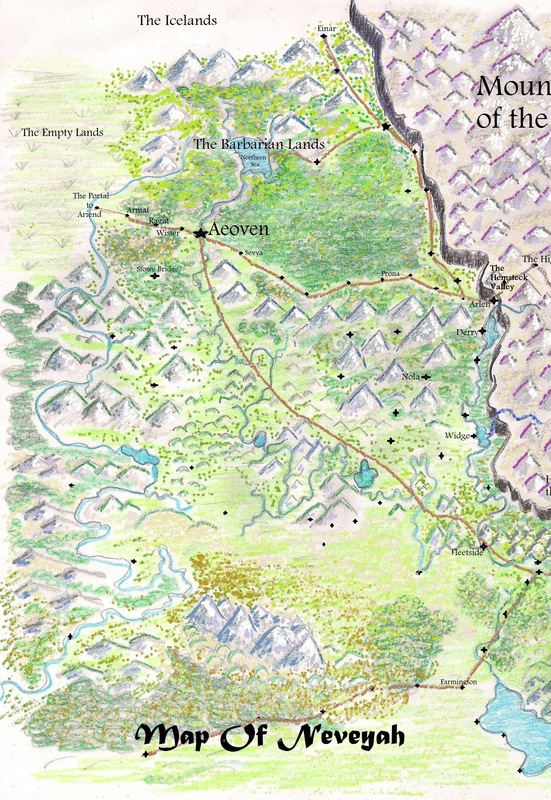 Thus I use the map, the calendar and the editor – the three most important parts of any tale.